Whether it is for your personal use or for commercial reasons, you will have to look into just what the function of your pruning saw will be, as means of choosing the right one. 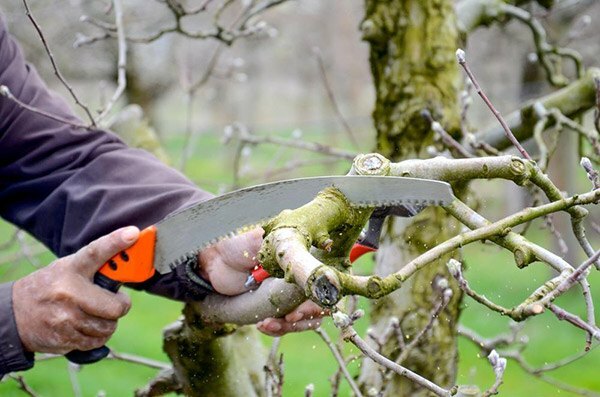 For instance, if you want to cut down large trees for cultivation (and have professional experience in doing so), then it’s best to invest in a heavy duty pruning saw. On the other hand, if you only want to tend to your small, personal garden, a smaller model is good enough. Depending on what you want to do with your garden, it is a matter of knowing which one—manual or electric—will suit you the best. Manual pruning saws offer you the opportunity to make smaller, refined cuts whereas electric saws are better for getting rid of massive branches and leaves faster. 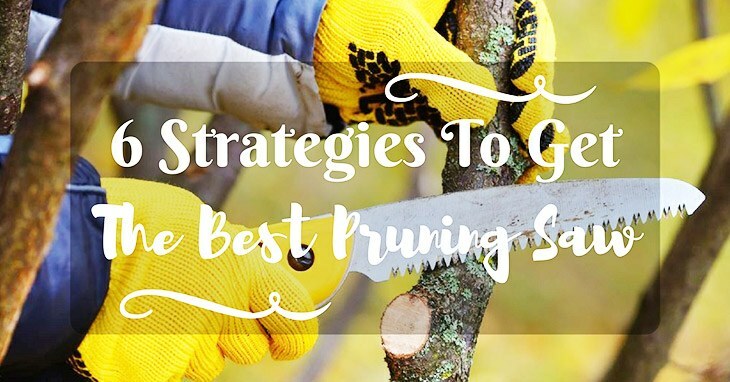 Even if you are the most careful gardener out there, chances are that pruning saws can still cause some not-so-safe situations to be in. Hence, investing in items like a folding pruning saw is not a bad idea, which helps keep your hands away from the dangerous blades. In addition, they are great for easy storing in limited space, should that be the case for you. 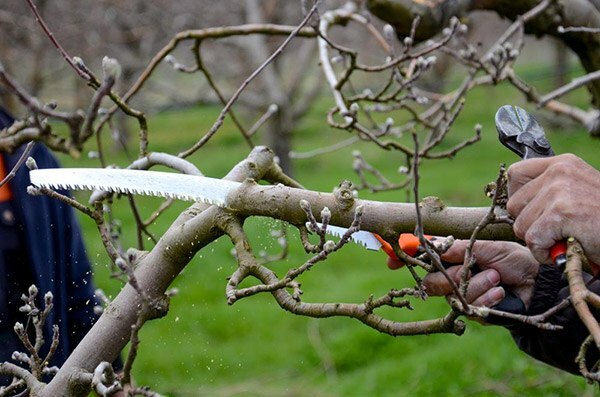 Whether you are pruning the branches on the lower level or doing so with the higher branches, you might want to see if you could get a pole pruning saw instead, as means of reaching those harder-to-reach areas without putting yourself in danger. After all, it can make your pruning experience all the more manageable! This point refers to what you need to trim, in terms of the thickness and sturdiness of the material. For straight pruning saws, you can use it to cut soft objects like sap and green wood: as the name implies, they cut in a straight, back-and-forth motion. On the other hand, a curved pruning saw is meant for bigger branches and other plants, ideally to be cut down in a single, clean slice. While useful, its blades also need to be frequently maintained. In essence, this refers to how often and how much pruning you do on a normal basis. Of course, the more you do, the more likely you’ll need a pruning saw that is durable to withstand long episodes of work. In contrast, if you tend to prune thin, light branches and leaves, then getting a smaller saw model is not a bad choice. Maintaining your saw is essential to keeping it in good shape and working for a longer period of time. Useful for both beginners and professionals alike, Shviro’s folding hand saw offers plenty of quality and convenient amenities to make your next pruning project easier and safer. Sharp and durable, this particular pruning saw can be a good one to have. Shviro’s folding hand saw offers both a push and pull motion, thereby speeding up the process to get the work done in twice the time expected. 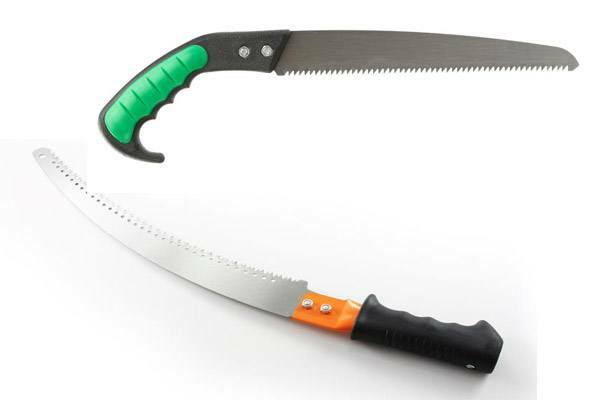 This hand saw can cut through a variety of plants, including branches, bushes, dry woods, shrubs, and so forth. It’s useful for gardening purposes, but it can also be used for clearing the path on camping and hiking trips. It has longer teeth, which might make it more difficult to start cutting, as well as might not be as precise. As a beginner myself, I was glad that Shviro’s hand saw has a push and pull motion, which is not only beneficial for novices, but also for making quicker, more efficient cuts. I have found, though, that the lock could use some tweaking, as I found it slightly loose when operating on thicker branches, so a bit of safety wouldn’t hurt! As one of the pole pruning saws on this list, Fiskars’ tree pruner can extend up to heights of 14 feet, potentially even higher, so that you won’t need to get out the ladder to get to hard-to-reach places the next time you need to prune plants. This tree pruner is convenient for people who have difficulty reaching top spots while being able to stand firmly planted on the ground to do so. It cuts quickly and efficiently through tree branches. Fiskars’ tree pruner is flexible, which allows you to get into the nooks and crannies of the tree branches. Although good for cutting out-of-reach places, this model only cuts through a maximum of 1 1/8 inches, which might not be as convenient for thicker branches at the top. I enjoyed using Fiskar’s pruning hand saw; not only can it be stretched up to 14 feet, but it can also reach the small crevices of the trees and branches without any problem. My only complaint would be its lightweight quality which, while easier to manage, can sometimes feel a bit unstable, so having a heavier saw might serve better in the long run. Besides being able to cut through wood, this all-purpose hand saw from EverSaw can also slice through other items like wood and bone. At a full extended length of seventeen inches, this saw is versatile for just about anything you need cut. This particular hand-saw brand is multi-purpose, able to be used for a variety of activities. It has a lock-in blade to prevent it from folding in and collapsing when you’re doing work, i.e. safety protection. This hand saw has an adjustable bolt between blade and handle, thereby allowing the blade to be tightened or loosened when cutting objects. While all-purpose and durable, the hand saw might not be as sharp as expected, and might take a while to cut through thicker branches. Overall, I found EverSaw’s hand saw to be pretty useful, especially when it can serve to cut through different branch thicknesses. My only issue would be that the blades might not be as efficient for cutting precisely through smaller branches; however, it works extremely well for large branches! For a faster and smoother cut for a variety of different tree limbs, Corona’s folding pruning saw has aimed to remain high quality for all kinds of pruning activities for over 90 years. Its razor-tooth technology has helped gardening buffs get a good pruning experience. This specific pruning saw is easy to use for different types of wood, from green wood to dead and frozen tree limbs. Able to cut down objects in half the time as other competing pruning saw brands. Corona’s folding pruning saw is able to cut up to thicknesses of 3 to 4 inches, so it’s not only limited to small and thin twigs. It can be good for long durability, up to five years or more while still remaining in solid condition. Corona’s pruning saw only locks in one position compared with other brands that lock in multiple positions for extra security when cutting through tree branches. I had purchased Corona’s pruning saw months ago and even after using it numerous times, it still is in mint condition as I had first bought it. While I am glad that there are many locks involved to ensure protection while cutting, I found its complexity to be more of an inconvenience; perhaps it could be improved for better accessibility. Specially designed to cut through pressure treated and wet lumber, Porter-Cable’s saw blades are unique in that aspect. They are also made of high carbon steel for longer durability, as well as strength when slicing through even the toughest material. These particular saw blades can cut up to a thickness of 8 inches, which makes it good for just about any hefty pruning activity. The saw blades do not dull easily, thus able to last gardening owners a long time for more future pruning projects. They cut through just about anything extremely quickly, which saves time and effort to go about other gardening activities. Although super powerful with any thickness of tree branches, these saw blades might not be very good with tree roots, as it tends to get dulled when it touches dirt near the roots themselves. My favorite aspect of Porter-Cable’s hand pruning saw is that it’s cordless, so that I didn’t have to worry about plugging it into an outlet to operate it; its ability to slice through thick branches is not a bad advantage, either. However, it’s necessary to constantly charge the hand saw; if not careful, the battery can be used up halfway through the process, which may not be very ideal. Although all of these pruning saws have their good and not-so-good qualities, the winner of the roundup goes to the EverSaw 8.0 Folding Hand Saw﻿ (#3). Besides being a great tool for novice and advanced pruners, its push-and-pull mechanism makes it more convenient and faster to slice through just about any variety of plant objects. It’s also versatile when it comes to gardening at home or while out camping or hiking, and is easy to carry around with you at all times. All in all, its size and functionality makes for the ideal pruning saw to invest in. Great post!!!! I really enjoyed reading this blog post. Very useful information and informative post. This is a perfect guideline for how to Pruning Saw. I choose my Pruning saw in this idea. I love this blog! It’s fantastic!